With Play-Doh Kitchen Creations, the best ingredient of all is imagination! 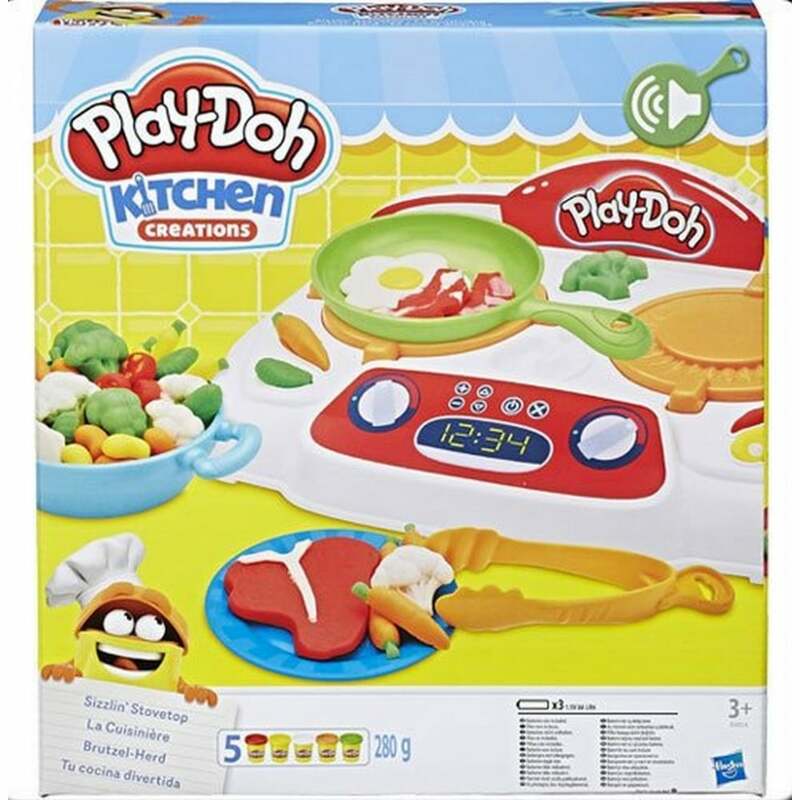 Now kids can feel like junior chefs with their very own Play-Doh stovetop set that really makes sizzling sounds as they pretend to cook. Hear the sizzle start up as soon as the skillet or saucepan are placed on the burners. The sizzle gets even more intense when a Play-Doh creation is placed on one of the pans, almost like real cooking! And what's on the make-believe menu? Stamp Play-Doh entrees including silly steak, imaginary eggs, crazy burgers, and even a funny fish with the 4 stampers. Create side dishes like pretend veggies with the half-moulds. Grab and flip Play-Doh foods with the tongs and spatula, and show them off with the plates. It's the fun of cooking without the heat and dirty dishes!